As a powerful Converter for Hevc and H.265, Xilisoft HEVC-H.265 Converter for Mac can convert HEVC/H.265 to other videos, and vice versa. Besides, you can also extract audio from video files and convert to MP3, AAC, WMA and WAV. HEVC/H.265 to H.264/MP4 formats and H.264/MP4 to HEVC/H.265 formats are available. Moreover, settings such as modifying the bit rate, frame rate, channels are available. There's also a built-in movie player so you can preview before converting. Another quirk is that you can take snapshots from the movie and save them as pictures. 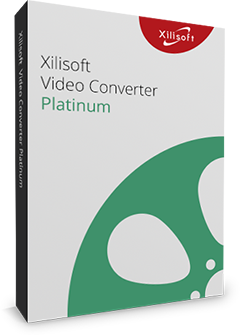 Xilisoft HEVC-H.265 Converter for Mac can support iOS devices(iPhone, iPad, iPhone) and Android phones etc. The MP4 converter for Mac can also get general video and audio converted to MP3, AAC and M4A audio formats for your digital player. Provide optimized preset output formats for iPod, iPhone, iPad, etc. with different quality which can be used directly without any further settings. If you are not satisfied with the default settings, the Mac HEVC/H.265 converter enables you to change the general and advanced settings to perfect the conversion like adjusting video/audio quality, bit rate, etc. To convert a certain part of the video, you can set begin and end time with trim function, or specify the start time and duration in advanced settings to accomplish it. The HEVC/H.265 converter Mac software allows you to preview the source video before conversion and take a snapshot you like when preview. View log after conversion doneThe Mac HEVC/H.265 converter creates a log file to record the conversion details for your check when you convert AVI to HEVC/H.265, MPEG to HEVC/H.265, HEVC/H.265 to MP3, etc. 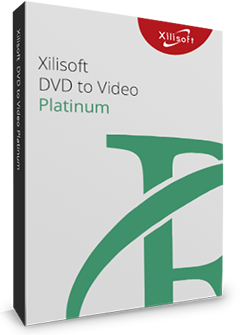 Xilisoft HEVC/H.265 Converter for Mac provides multiple language interfaces for different mother-tongue users: English, German, Spanish, French, Japanese and Chinese.